This example shows how a Post Build Script can be used in a Xojo project in order to create AppX Packages (e.g. for Windows Store). 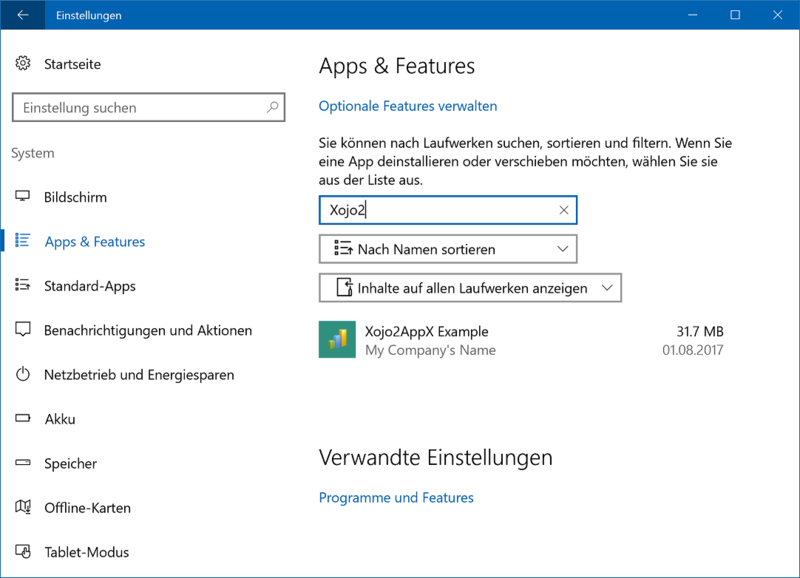 It doesn't go through the Desktop App Converter - the .appx Packages are manually built auto-magically just by using Windows Software Development Kit (SDK). You can customize the Assets's (Icons) and Tile-appearance (Background Color, Short Name) by setting a couple of Variables in the Batch Script.The example also shows how to use custom FileType associations. The PostBuild-Script runs the Build_AppX.bat, and passes the current Version to it.